A Tennessee teen is in the news today after her “confederate flag” dress caused her to be banned from her High School Prom. Texanna Edwards, pictured above in her show stopping dress paired with flip flops, apparently knows how to make an entrance. 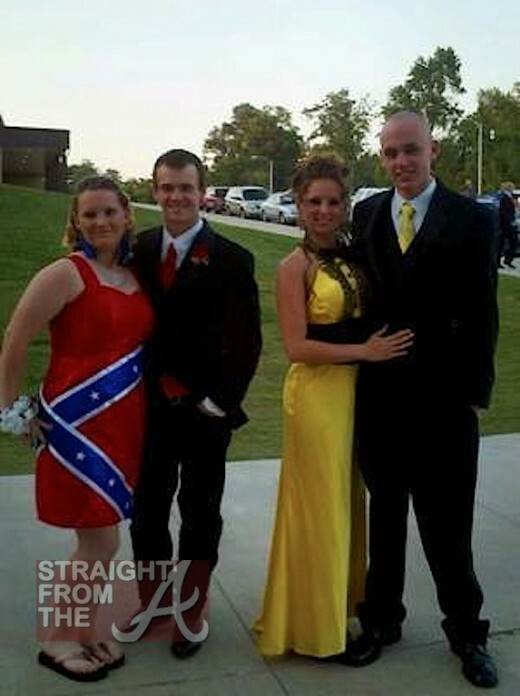 Edwards is a senior at Gibson County High School in Dyer, Tenn., and when she arrived to prom with a dress featuring a pattern of the Confederate flag, school officials promptly turned Edwards away.